The Kingdom of Bahrain is an island nation located in the Persian Gulf. 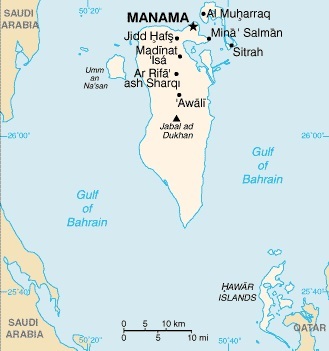 It consists of an archipelago of 33 islands, the largest of which is Bahrain Island. Since 1986, Bahrain Island has been connected by a causeway to Saudi Arabia, the King Fahd Causeway. An additional causeway is planned in future that will link Bahrain to Qatar. 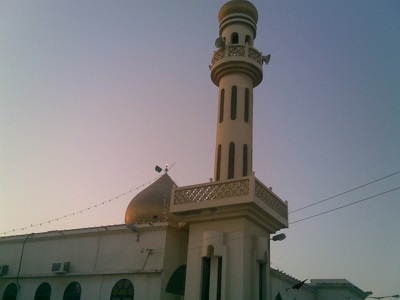 As of 2008, the population of Bahrain was estimated as being 791,000. The country's capital and largest city is Manama which, as of 2001, had a population of 162,000, with 345,000 people in total living in the combined city and metropolitan area. Going on holiday to Bahrain? This useful travel journal will help you research, plan and record everything to get the most out of your trip. Plan using the list of cool places to visit in Bahrain, great places to eat and a handy list of the best websites so you can do your own research. The Bahrain Road Map is the most accurate and comprehensive map of Bahrain, and the best way to find your way around the island. The Bahrain Explorer is the number one lifestyle guide for Bahrain. 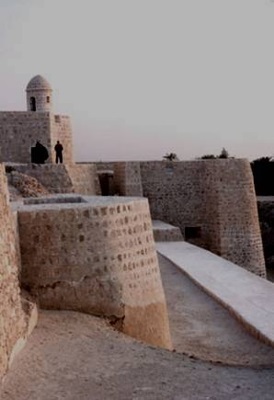 Comprehensive, fun and easy to use, the Bahrain Explorer is an ideal guide to the fascinating and surprising state of Bahrain for residents, short-term visitors, business people and tourists.